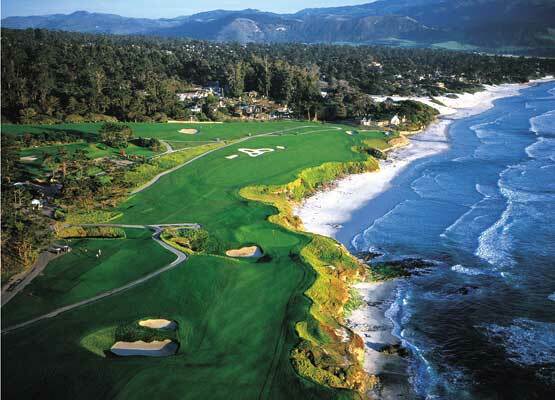 The U.S. Open should be played at Pebble Beach – every year! Pebble Beach opened in February 1919. Beginning in 1947, Bing Crosby and Pebble became the hosts of golf's annual "Clam Bake." In 2010, Pebble will host its sixth major professional championship. There are some things in sports that should never, ever change: The Open Championship should always be played at St. Andrews, the Chicago Cubs should forever play at Wrigley Field (I don’t care how old it gets) and the United States Open golf championship should always be contested at Pebble Beach Golf Links. 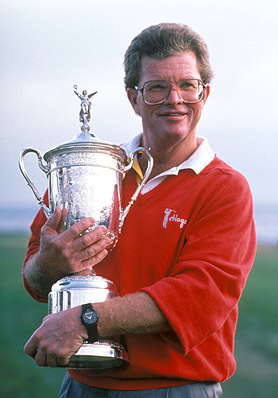 Just the thought of Pebble hosting the U.S. Open gets my heart rate up. Pebble is, by far, the most beautifully challenging 18 holes in all of America. And I can’t wait to see how it will treat the game’s best this week. I understand that part of the USGA’s mandate is to move the event around. But, if it was always held at Pebble, just think of the calibre of golf we’d see. The last time Pebble hosted the Open was in 2000. That year, 24-year old Tiger Woods absolutely demolished the field to win his first U.S. Open. Woods finished at 12-under par. That was 15 shots – repeat, 15 shots – better than Ernie Els and Miguel Ángel Jiménez. That week, Woods didn’t have a single three-putt green. No three putts…at Pebble! But that kind of play at Pebble Beach is not the norm. No course identifies a national champion like Pebble Beach. The Pebble Beach U.S. Open that I will never forget is 1992. As that tournament was being played, I was working in Lethbridge, Alberta, covering an event on the Canadian Tour. Lethbridge’s Paradise Canyon was hosting a field of players who, one day, hoped and dreamed that they would reach golf’s pinnacle. Few would. But that year, at Pebble, the final-round weather was an absolute nightmare. On the third hole, of the third round, Dr. Gil Morgan set a U.S. Open record by becoming the first-ever competitor in the history of the event to reach 10-under par. But, on Sunday, the wind at Pebble became a monster. As the Canadian Tour players watched, fixated, on television in Lethbridge, they could not stop talking about what the PGA touring pros were going through. They were all riveted to the action. It was fascinating to watch them watch. 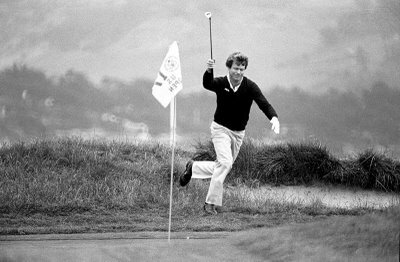 Tom Kite survived Pebble that year, winning his only major championship. And, a decade before Kite won in the wind, Pebble’s 17th played host to one of golf’s iconic moments. You can no doubt see, in your mind’s eye, Tom Watson chipping in from the thickest rough ever to vanquish Jack Nicklaus by two shots. Watson struck the ball, then raised his right arm and began a celebration stride. It was the culmination of an awesome duel between the game’s biggest stars. Pebble Beach first hosted the U.S. Open in 1972 – the year Jack Nicklaus won by stiffing a one-iron on 17 on Sunday. This will be the fifth time the USGA has hosted the Open at Pebble. Every time it’s been held there, the winner has been a champion’s champion. Please don’t take offence Steve Jones and Michael Campbell and Angel Cabrera, but you wouldn’t have won your Open at Pebble Beach. Pebble also hosted the PGA Championship in 1977, won by Lanny Wadkins. This week, whoever emerges on Sunday afternoon will be an elite player. Maybe it’s Lee Westwood’s time to finally step up. Maybe Tiger shocks the world and emerges from his funk. Any way it plays out, it will be golf’s perfect event – because it’s being played at Pebble Beach Golf Links. I understand the sentiment, but you know what they say about too much of a good thing. Those results are special because they don’t happen all the time. Maybe they should have a smaller rotation of clubs though, like the Open Championship. Oakmont, Shinnecock, Winged Foot, Bethpage Black, Pinehurst #2 are all pretty special places. Also, one thing I associate the US Open with is the heat. That stifling, sticky heat that the players must endure each father’s day. I love those images of the sweaty golfers, looking more like athletes than any other tournament, grinding it out for a par to win. You just don’t get that heat in Monterrey.